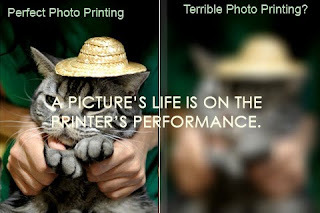 Tips to Make Perfect Photo Printouts | TonerGreen - Eco-Friendly Toners from the U.S. Photography is an art and hobby done by almost everyone who loves pictures. Taking photos is important to preserve the memories and moments captured by cameras whether these are digital or manual types. However, there are instances that printed photos gradually lose the charm it once had. Is it the ink or toner used that shortens a picture’s life? Well, here are some tips to keep the quality of your own printed photos. The printer is the main machine for printed materials, of course with the help of the ink cartridge. You must know every detail of it when choosing the right one for your printing needs. The two types of printer for photo-printing are dye sublimation printers and ink-jet printers. Dye sublimation printers are expensive, but the photo quality is dirt and water resistant. These are usually used on clothes and big printing outputs. The ink-jet printers, on the other hand, are cheaper and convenient for personal use. The modern ones are even configured to produce excellent photo quality. The important tool for printing photos is the paper being used. So which is the best one? There is a variety of photo papers available in stores that can be applied. The most suggested type for a perfect printed photo is the glossy paper which is made by the printer manufacturer. This product is made with care and tested for long life printings. It is always the maintenance of a product that keeps its function in perfect condition. A printer should always be tested and cleaned to prevent ink clogging and distorted printings. Just keep your printer clean from dust inside and out for it to perform properly and print excellent photos. For further instructions on this, you can refer to your printer’s manual or search it online. Always use the proper materials for a lifelong photo and maintain your printer’s quality too. You can also try trusted ink and toners for a quality worth your money.